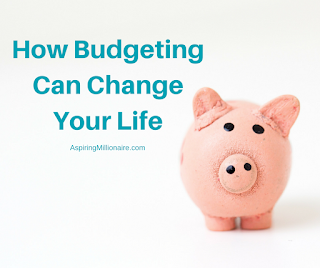 For many, the word “budgeting” has such a negative connotation to it. When people speak about a budget, it typically means that they barely have enough income to cover their expenses and they need to watch their every penny. Often times they are restricted, have barely any fun (because their budget doesn’t allow them to), and lead a life that just seems awful to the average outsider. After having budgeted myself, I look at the word in a much different light. To me, budgets are wealth builders, life changers, and often help people truly understand their spending as well as what makes them happy. After all, you cannot truly own your life unless you are the master of your money. Often times, creating your very first budget turns out to be laughable. All you have to do is look through your bank account over the last two or three months and write down what you think you will spend in the month to follow. The obvious expenses are things like your mortgage payment, food, insurance, utilities, gas, and clothing. And then there are others that you might not think of immediately, but are also part of your regular monthly expenses. After you lay out your budget (or spending plan, as some people call it) of that first month, simply live your life normally and see where the numbers line up at the end of the month. More than likely, you will spend about 33% more than what you expected. So, if you thought you would only spend $2,000, then you most likely spent close to $2,700. This is completely common, so don’t worry about it and move onto the next step. At this point, you need to do two things: you need to take a serious look at your expenses and decide if they are reasonable, and you also need to review your spending habits to see if anything is out of control. So first, if you see that you are spending $150 a month on your cell phone, this is not reasonable. You can probably find a much cheaper rate with another provider. Second, your spending habits might have you dishing out $500 each month on clothes. This is certainly not necessary, and you might decide to alter your spending to reduce this amount. After a few months of reviewing your budget and making alterations, you should be in a place where you are earning much more than you spend, which is causing your savings to skyrocket. Keep this up and you will have a great opportunity for future wealth. For you see, prior to your budgeting, you had absolutely no money to invest in your future and were destined to grow old, poor, and unhappy. Now, you have cash that can be invested in the many opportunities that will present themselves to you in your life. Perhaps you will invest your money in the stock market, the real estate market, or maybe you will venture out on your own in your first business venture. Whatever the case may be, you now have the power to build great wealth. Are you ready to use a budget to grow wealthy?